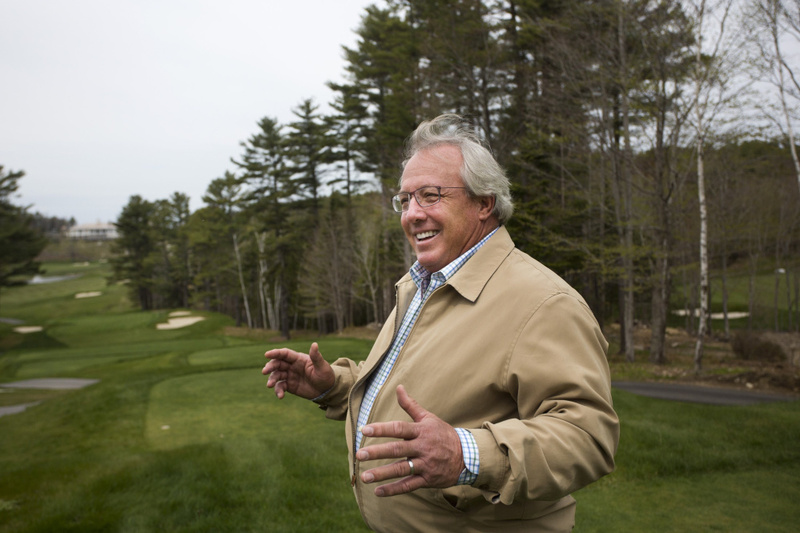 The company suing to regain ownership of Sunday River Golf Club is also embroiled in a contract battle with midcoast millionaire Paul Coulombe. Harris Golf Inc., the Bath-based company fighting to regain ownership of Sunday River Golf Club in Newry, has been waging another court battle over a lucrative management contract it says Boothbay Harbor Country Club owner Paul Coulombe promised but never delivered. The pending lawsuit by Harris Golf affiliate Harris Management Inc. against Coulombe, a high-profile multimillionaire who redeveloped the bankrupt Boothbay golf course, alleges that Coulombe falsely promised Harris Golf President Jeff Harris a long-term management contract in early 2013 in order to gain his help and cooperation. It accuses Coulombe of fraud, unjust enrichment and breach of contract. Because of Coulombe’s promise, Harris Golf not only backed out as a competing bidder for the Boothbay club, but sold Coulombe adjacent land at a discount price and helped prepare the course for its initial season under Coulombe’s ownership, the lawsuit alleges. Coulombe’s attorneys have denied the allegation in court documents, calling it a “fanciful narrative” for which there is no proof. The unresolved dispute, combined with Harris Golf’s lawsuit filed March 7 against Sunday River Golf Club creditor Newry Holdings LLC, leaves Maine’s largest golf course owner and operator battling on two fronts against competitors. The lawsuit against Coulombe, pending in Maine’s Business and Consumer Court, stems from a dispute that arose after the Boothbay club announced that Harris Golf would manage the property but ultimately went with a company owned by Dan Hourihan, another golf course manager. Coulombe, the former owner of White Rock Distilleries of Lewiston, purchased the country club after a bank foreclosure in February 2013 for $1.4 million. Harris Golf alleges that Coulombe feigned interest in giving it the management contract for months in order to facilitate his purchase of the country club without competition and acquire needed land for expansion from Harris. But Coulombe’s attorneys argue that good-faith negotiations over the proposed management contract between the Boothbay club and Harris Golf simply broke down after the two sides failed to reach agreement on certain details. Both Harris and Coulombe declined to speak on the record for this story. 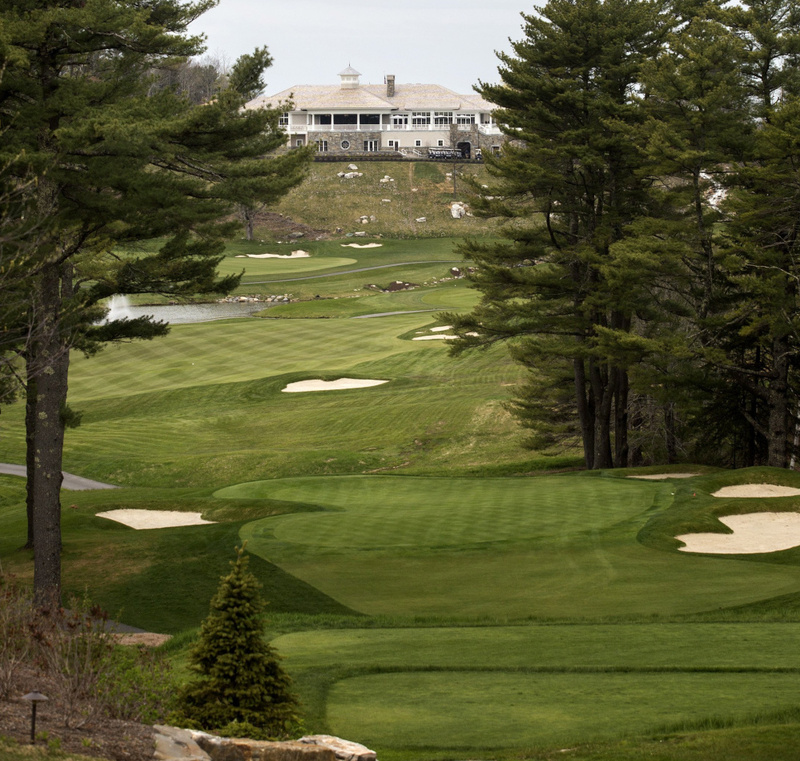 Harris Golf’s complaint says that in mid-2012, Jeff Harris was approached by the midcoast design and construction firm Knickerbocker Group about forming a partnership among Harris, Knickerbocker owner Steve Malcolm and Coulombe to acquire and expand the nine-hole Boothbay club. Harris Golf originally had owned the country club but then sold it to a company called Boothbay Country Club LLC that ultimately went bankrupt. The three parties had a meeting in September 2012 to discuss the plan, under which Coulombe would provide the necessary capital, Knickerbocker would head up design and construction, and Harris Golf would provide long-term management services, according to the complaint. At that time, Harris presented his company’s multiyear management and marketing contract for Bath Country Club with the intent and expectation that it would be used as the model for the Boothbay contract, it says. According to the complaint, Malcolm later informed Harris that Coulombe had decided not to move forward with the project. Therefore, Harris Golf began taking steps to acquire the property itself. In December 2012 it contacted The Bank of Maine, which was planning to foreclose on the golf course, and made a tentative offer of $1.4 million. Later that month, Malcolm contacted Harris and told him that Coulombe had changed his mind and was again interested in pursuing the joint venture they had previously discussed, the complaint says. Harris responded by saying that his company now planned to purchase the property itself and no longer needed Coulombe’s involvement as a financial backer. But according to the complaint, Malcolm and Coulombe eventually persuaded Harris to back off and let Coulombe make the purchase by arguing that he had the better financial resources to significantly improve the facility. By agreeing to the joint venture, Harris was assured by Malcolm and Coulombe that Harris Golf would be granted a long-term management contract, it says. In exchange, Harris agreed to sell a dozen adjacent lots owned by his family to Coulombe at a discount price to facilitate the country club’s expansion, the complaint says. Harris made it clear in phone and email discussions that he would only agree to those terms if his company was assured a long-term management contract, it says, adding that Harris Golf began taking on various management duties immediately in anticipation of the contract being signed. On Jan. 31, 2013, Coulombe reached an agreement with The Bank of Maine to purchase the club for $1.4 million. That’s when the agreement between Coulombe and Harris began to fall apart, according to the complaint. A month after Coulombe purchased the Boothbay club and Harris properties, his lawyer informed Harris that Coulombe was rejecting his proposed management contract, it says. Instead, Coulombe wanted “modifications that completely eliminated the value of the contract inconsistent with the prior representations and agreement.” For example, under the modified contract, Coulombe would be able to terminate the management agreement with Harris Golf at any time with only 30 days’ notice, the complaint says. Harris Golf’s complaint alleges that Coulombe’s earlier assurances amounted to a contract, which he breached. It also accuses him of fraud for making false representations to get Harris to drop out as a competing buyer and sell the adjacent family land at below-market price. Emails from January through March 2013 between Coulombe and various business associates, submitted to the court as evidence, indicate that Coulombe was not expecting to sign a contract with Harris. Court documents filed by Coulombe’s attorneys argue that no fraud occurred because Coulombe never made any promises to Harris. According to court documents, no management contract was ever signed between the two parties. “The truth is that Coulombe expressly told Harris that he could not promise him a management agreement, but Harris wanted to sell the (Harris family) lots quickly to fund another deal he was pursuing, and Harris assisted with the opening of the golf course voluntarily as part of the parties’ ongoing negotiations,” one document says. Harris’ entire fraud claim is based on “a single telephone call” in which Coulombe allegedly told him “You’re my guy” with respect to the management contract, it says. The lawsuit, originally filed in February 2014, does not specify the damages that Harris Golf is seeking. It is expected to continue for at least several more months unless the parties reach a settlement. A pretrial conference is tentatively scheduled for Oct. 20 of this year.